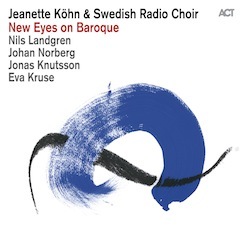 The Ensemble New Eyes On Baroque came together for the first time at the Bach-Festival in Leipzig in 2007 when Nils Landgren was asked to give a concert in the sound of Bach. He gathered the wonderful soprano Jeanette Köhn, Johan Norberg´s fine acoustic guitar, Jonas Knutsson´s soft but intense baritonesax, myself on bass and of course himself and NEOB was born. It is an exciting challenge to try to interpret Bach, Händel a.o. in a fresh way and it is always a wonderful experience to be able to give concerts together with the Swedish Radio Choir conducted by Gustaf Sjöqvist or Peter Dijkstra.